Needless to say, enrolling your child in a childcare program for the first time is a big and often emotional event, and choosing the right type of daycare for your family’s specific needs can be a little daunting. While many parents opt for an in-home nanny or sitter, the vast majority of American families choose drop-off daycare centers to provide the care they need. According to Child Care Aware of America, a child care advocacy group based in Virginia, nearly 11 million American children under the age of five were enrolled in some type of child care setting every week in 2015. There are two basic types of drop-off facilities, and each offers its own unique advantages. Group daycare centers are typically state licensed and care for children of varying ages, from infants through 12 years of age. 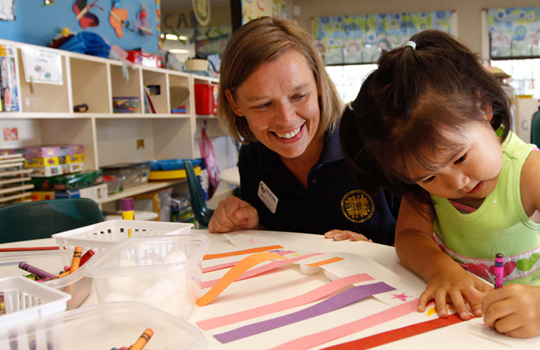 Home-based childcare centers are operated out of the owner’s residence. In some cases, home-based providers are moms themselves, who are also caring for their own children. These types of facilities are often less expensive than group daycare facilities, but in most cases they are not state licensed, and the care providers have not received any special training or certifications. While it can take some time for young children to get used to being cared for outside the home, drop-off childcare programs offer a number of benefits. 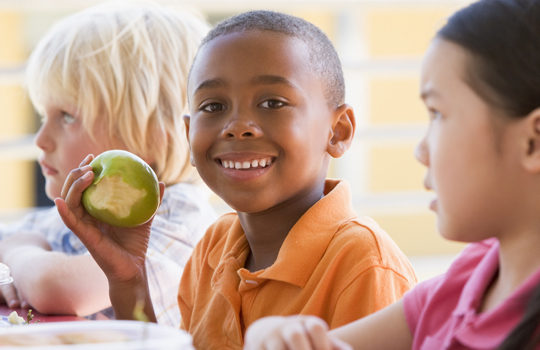 Group childcare facilities typically offer structured, age-appropriate educational programs that help children learn the skills they’ll need in school. These types of facilities also tend to have low caregiver to child ratios, so children receive a high degree of individualized attention. Home-based daycare facilities typically provide care for fewer children, which can be reassuring for young children who are unaccustomed to being separated from their parents and siblings. Both group and home-based childcare facilities provide opportunities for children to develop their social skills in ways that will benefit them throughout their lives. Since they are owned and run by individuals, many in-home childcare facilities structure their operations around their personal schedules. For example, they may close for holidays, or they may not offer early drop-offs or extended evening hours, or their hours of operation may change with little advance notice. Group childcare facilities typically offer before and after school programs, and frequently remain open on most school holidays which makes them a more reliable option. Although the cost can vary widely depending on a number of factors, including the area of the country in which you live, group and in-home childcare programs typically cost less than hiring a sitter or nanny to provide care in your home. Most group childcare facilities offer flexible payment options and accept a variety of payment methods including cash, personal checks and credit and debit cards. Depending on your particular situation, you may also be eligible for financial assistance for out-of-the-home child care. There are a number of online resources, including the Child Care Resource Center’s website that offer information about available financial assistance programs throughout the U.S.
It’s a good idea to start researching daycare centers in your area at least two months prior to actually needing the service. In large metropolitan areas, good programs are in such high demand that waiting lists are not uncommon. Asking friends, co-workers and family members for recommendations is always a good way to begin your search. What accreditations and licenses do you have? What is the caregiver-child ratio? What training and credentials does the staff have? Is the staff certified in first aid and CPR? What supplies are provided by the center, and what will I be expected to provide? How often, and by what method do you communicate with parents? Does the center have an educational curriculum? Are the toys and equipment age-appropriate? Don Williams is a Project Director for Advance Web Promotions, an online marketing firm based in Bedford, Texas.